A behind-the-scenes look at stage makeup from a former competition judge’s point of view. As the holidays are now over, many dancers can anticipate what’s next – competition season! Yes, it’s true .Another season of dance competitions are upon us! As a matter of a fact, for some dancers the season has already begun, so let’s not waste any time. Let’s get right to it! Here’s some professional presentation and stage makeup advice every performer should know: Preparation is always key to a confident performance. You may have your moves down, but is your overall presentation polished? 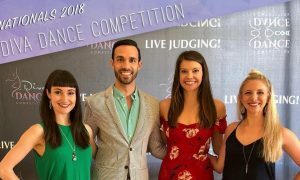 What are the judges taking notice of beyond your dance technique? 1. The minute you step out onto the stage you are on! Make sure you enter the spotlight poised, smiling and in good form. You should exit the same way. 2. Watch facial expressions. Don’t make faces (look strained, lips puckered etc.) while performing. Make eye contact, smile and look passionate about your performance without making faces. 3. When performing, avoid mouthing the words. It’s distracting. The exception is when performing a musical number with a singing or speaking part. 4. Don’t move the music tempo faster than the song. Need a faster tempo? Find one. 5. Watch undergarments. Be sure they match and do not show under your costume. 6. Wear costumes and accessories that are secure to avoid embarrassing wardrobe problems. 7. Don’t over do the bling. Choose two rhinestone accessories. Example: earrings and a choker, but skip the bracelet and hair clip. 8. Keep hair off your face, unless it’s part of the choreography. 9. If you make a mistake, keep going. Don’t let a fall or any other mess up stop the show. 10. Keep your energy strong from the beginning to the very end. Judges notice your makeup – really! 1. Make sure brows are defined, arched and extended properly, especially for the very fair or dark skin tones. Lack of brow creates a “surprised” look and draws away from eyes. 2. Skin tone on all ages should look even and natural, not blotchy, red, pink, orange or shiny. Avoid light-reflecting mineral makeup that can make the face look too fair against the body and extremely shiny under stage lights. If your matte foundation shade looks too light against your body, try a darker powder shade on top instead of foundation. This looks more natural and avoids a line across the jaw. Use a golden tone foundation, not pink or orange tones that can look overly made up. Use foundation especially where cheek color is applied to prevent overly flushed faces. Be sure to blend down under the chin, an area that rarely gets sun and remains light. This is an area judges often see very well as they are below the performer. 3. Eye shadow should look well blended and in neutral colors that do not fight with different costume changes. Avoid frosted or bright colors like blue, green, or purple eye shadow. Bright color is for theme looks only. Use three shades of eye shadow to look more blended; a dark shade to define at corners and through crease, a medium warm shade to balance onto the eye bone and a light matte shade under the eyebrow and onto the eyelid to pull forward. Matte eye shadow works best. 4. Avoid black eyeliner all around eyes. This makes eyes look smaller. Eyeliner should be left open at the outer eye corner. Black at outer corner upper lid and brown to line under lower lashes looks softer. Always avoid the lower eyelid (ridge above the lower eye lashes), as this really closes eyes. White pencil there is preferred. Black eyeliner top and bottom is appropriate for drama when performing jazz/Fosse/cabaret or for deep skin tones. 5. Wear false lashes. They do open eyes! 6. Cheek color should be well blended to avoid a stripe of color across cheekbones. 7. Lips should appear full and defined. Be sure to use a lip liner to shape lips and enhance fullness. Lip liner needs to be blended over most of lips to avoid showing. Don’t forget, the most important part of the mouth is the sides. Keep sides of lips full for profile views. 8. Be cautious when using glitter and shimmer. Apply only to key light-catching points and never on male dancers. 9. When wearing a hat, especially ones with brims that cast shadows, be sure to dress up lips using gloss, glitter or a dramatic lip color so your face doesn’t get lost. 10. When performing a classical ballet or any number that is ethereal, try to highlight with shimmer powder cheekbones and eyes. Matte faces looks plain and dull. 11. Avoid too much plain skin. When lot’s of skin is exposed on the back or midriff, add a shimmer lotion or powder over bare areas. For glitzy costuming, dress up your skin with glitter spray. 12. Remember the themes of your number. For the 1940s, use strong eyeliner on the upper lid and do strong lips. For the 1960s, use black and white shadow and do white lips. Then for the 1980s, use electric bright shadow and lips. Judges get bored with the same look. Add drama and show appeal by mixing your look up with quick makeup and hair changes. Wigs and hairpieces can really come in handy here – as long as they are well secured. 13. Makeup for traditional or cultural numbers, like the Hula, Clogging, African or Latin performances, should stay with the look of that culture. These tips will help you stand apart as a true professional and dazzle the judges. 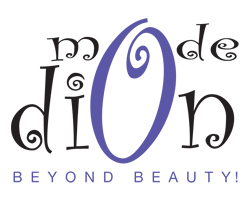 For more tips on makeup application technique, theme looks and quality stage products to help you look your best, visit me at modedion.com.